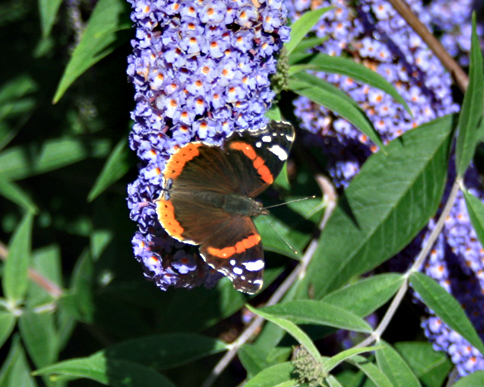 The buddleia davidii was covered in the most beautiful Red Admiral butterflies. After all the wet weather of late it was such a tonic to wander outside the back door on Sunday morning to find the sun was shining, the birds were singing and a garden full of butterflies. Felt good to be alive. The flowers on this variety are the most gorgeous vibrant purple colour I’ve seen, and so easy to grow. I’m not sure of the variety as I brought it with us from my previous garden, but I believe it might be Empire Blue? 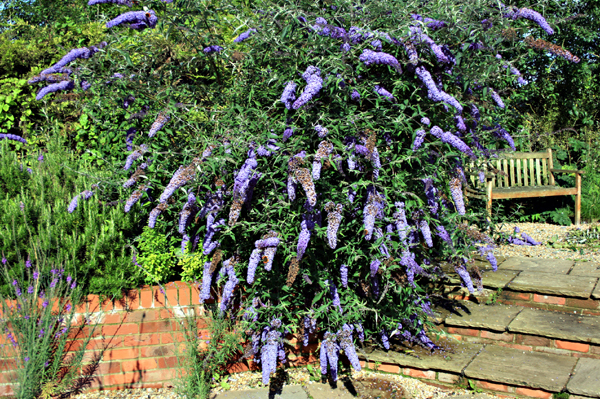 The other name for Buddleia davidii is the butterfly bush and it certainly lived up to its name yesterday. 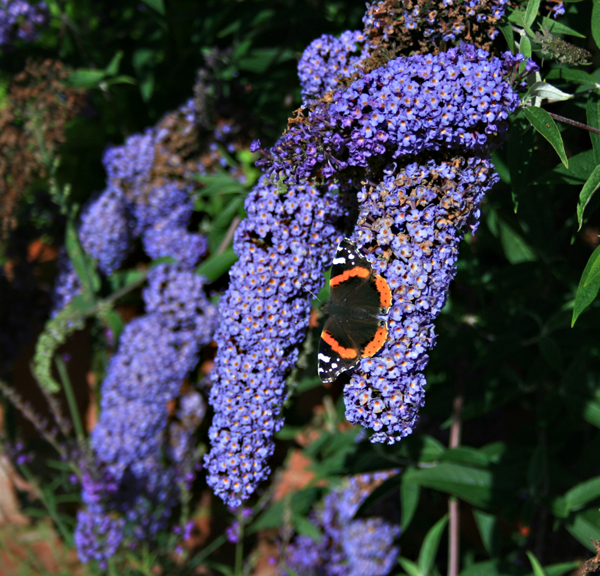 If you want to bring butterflies into your garden then a Buddleia will certainly do the trick! This particular bush is from a cutting I planted year before last and as you can see it’s put on plenty of new growth this year. Really easy to propagate from softwood cuttings and this is the ideal time to give it a try. Take a piece of this years growth and cut below a leaf and plant in a well drained compost, or straight into the open ground. Although they will root just fine on their own I dip the ends in a little rooting compost to be on the safe side. 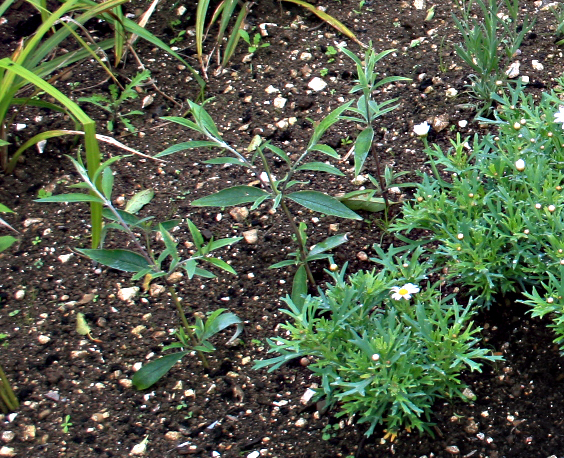 A few of this years Buddlia cuttings growing away in the plant bed. The cuttings should root in around 3 – 4 weeks after which you can transplant into the open ground, or if you don’t have a lot of space why not plant in a 10-12″ pot and position in full sun and you’ll have all the butterflies from far and wide visiting your garden. If you leave a Buddlia to do it’s own thing it will grow to over 6ft, so best keep it in check if you don’t want it to get out of hand. Personally I like the wild unkempt look of this plant and the butterflies aren’t complaining either. With all the rain we’ve had this year in Hampshire I didn’t think I was ever going to see a butterfly in the garden again but yesterdays sunshine did the trick. I do little to encourage it apart from cutting the old growth hard back in February and adding a little compost around the base in the spring. The only other maintenance I give the plants is to remove the dead flowers with secateurs which encourages new shoots and provides a second flush of flowers. So if you’re wondering what happened to all the butterflies plant a butterfly bush and in no time your garden will be full of these most beautiful of our native insects. My best wishes to one and all.